Dell delivers compact solutions that pack a punch, including a 1U rack workstation and towers starting at $649. 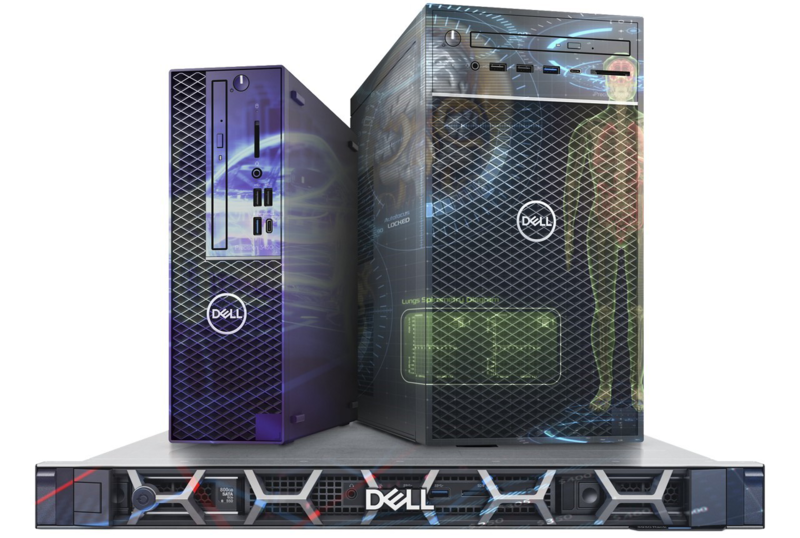 The Dell Precision 3930 Rack delivers powerful performance in a compact industrial footprint. Its 1U rack height delivers better rack density and extended operating temperatures, while features such as its short depth, dust filters, and legacy ports allow it to integrate seamlessly into complex medical imaging and industrial automation solutions. The rack workstation provides up to 64 GB of 2666MHz DDR4 memory thanks to the introduction of Intel Xeon E processors and an 8th Generation Intel Core CPU. The Intel Xeon E processor supports Error Correcting Code (ECC) for increased reliability. The rack workstation offers best-in-class workstation performance and provides the flexibility of up to 250W of doublewide GPUs, and scalability with up to 24 TB of storage. With 3 PCIe slots, including an optional PCI slot, this workstation can tackle complex tasks with ease. A range of NVIDIA Quadro professional GPUs are available. With the Quadro P6000, users benefit from 24GB of GDDR5X and powerful ultra-high-end graphics performance. In addition, customers have the option to choose AMD Radeon Pro graphics. If your company is looking for versatile, secure, and fast remote 1:1 user access, you can add optional Teradici PCOIP technology. The rack workstation effortlessly integrates into the datacenter, which helps reduce clutter at your desk. Going small can lead to big things, so Dell has built these new entry-level workstations to fuel the future of innovation across engineering design, science, mathematics, and other data- and graphics-intensive fields. Running a highly powerful machine no longer requires having a large work space or a large budget, making this level of performance available to many companies and workers for the first time. The Dell Precision 3630 Tower is 23 percent smaller² than the previous generation with more expandability, so workers can get the precise solution they need regardless of workspace constraints. It features a range of easy-to-reach ports that make it possible to connect to external data sources, storage devices, and more. It offers scalable storage featuring SATA and PCIe NVMe SSDs, which can be configured for up to 14 TB with RAID support. As workstation users often create intellectual property, Dell will also offer an optional Smart Card (CAC/PIV) reader to make secure data management easier. If you’re interested in creating or enjoying VR experiences and other resource-intensive tasks, this workstation is a good choice, thanks to an 8th Generation Intel Core i and new professional-grade Xeon E processors with faster memory speeds up to 2666MHz 64 GB. It also offers up to 225W of NVIDIA Quadro and AMD Radeon Pro graphics support. 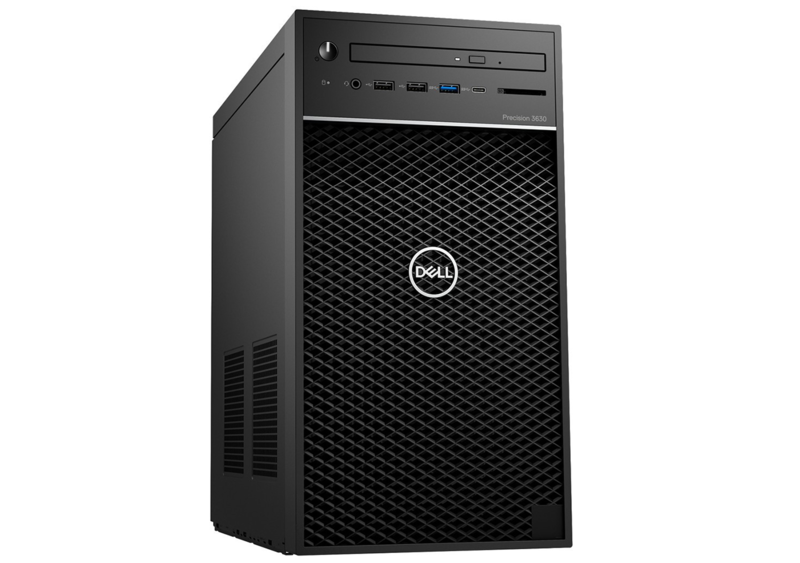 The new Dell Precision 3430 Small Form Factor Tower is a great fit for many workstation users, offering many of the same benefits as the Precision 3630, but in an even smaller form factor and up to 55W of graphics support. It’s also expandable with up to 6TB of storage with RAID support. Dell also introduced support for Intel Core X–series processors in addition to the Intel Xeon W processor options already available on the Dell Precision 5820 Tower. These new processor options bring the enhanced performance and reliability of a workstation at a more affordable price point for customers. Adding Intel Optane memory keeps responsiveness high and high-capacity storage costs lower on all these new Dell Precision 3000 series workstations. Customers can expect the same build quality and reliability of the Dell Precision line. 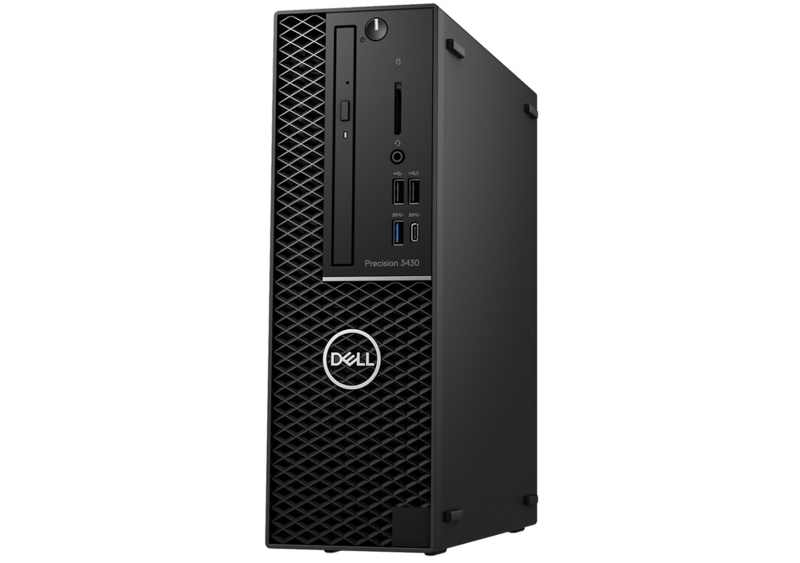 Available now: The Dell Precision 3430 Small Form Factor Tower and the Dell Precision 3630 Tower (both starting at $649) and the Dell Precision 5820 Tower workstation. Available worldwide July 26, 2018: The Dell Precision 3930 Rack, which starts at $899. ¹When equipped with Intel Xeon E-2186G processor, available 64GB of 2666MHz memory capacity, NVIDIA P6000 graphics and 2xM.2PCIe storage. Based on Dell internal analysis of competitive workstation products as of July 2018. ² Gen-over-Gen claim based on internal testing, July 2018.